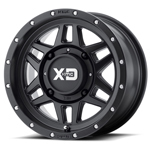 The XS234 Addict 2 is a perfect wheel for those with a passion for speed and adventure behind the wheel! This eight spoke wheel gives you the choice of a variety of color finishes with a matte black race inspired bead locking ring. 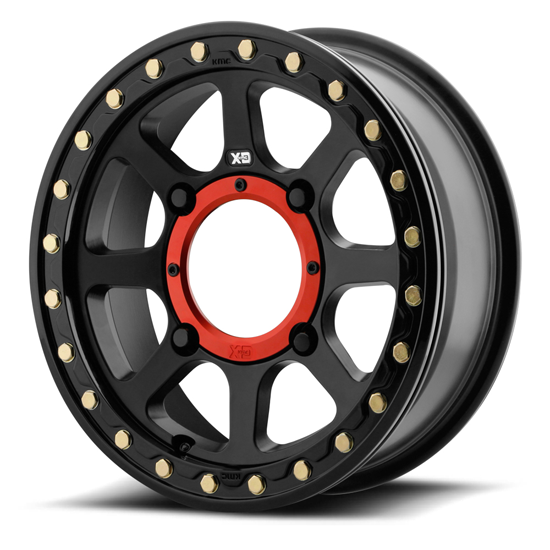 ** The 5+2 offset wheel (+30mm) keeps the factory stance width and offset close to most OE specifications (newer Polaris, Can-Am, Yamaha side by sides). The 5+2 offset is also recommended for Sportsman 550/850 XP machines, RZR 900 and RZR 1000 machines to keep the original factory stance width and same splash protection.